If you are wondering what High Brass is, then you are not alone. High brass refers to the metal base at the bottom of the shell, in high brass shells the metal base extends higher on the shell. 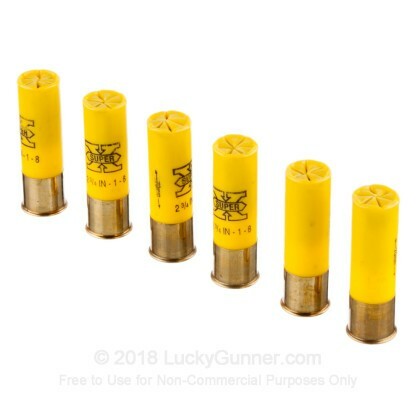 High brass shells are often considered better quality and often contain more powder, and as a result, these shells function better than low brass shells in semi-auto shotguns. 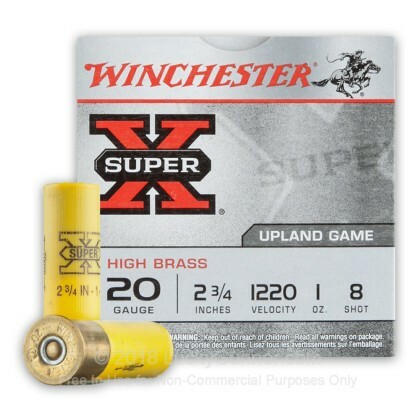 This 20 gauge round by Winchester offers consistent and dependable performance, and is a perfect load for upland game. 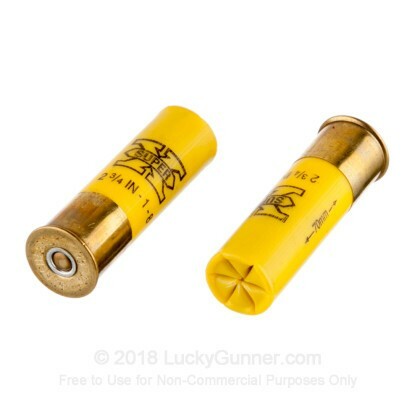 Winchester has a long history of making reliable ammunition for both the US military and US Citizens, and this ammo is a great example of the continuation of the legacy. 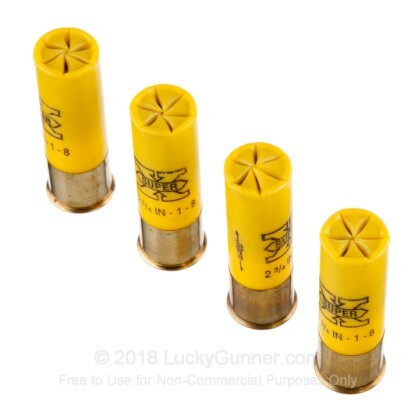 This ammo features a one-piece hinged wad, which provides consistent, tight patterns and reduced felt-recoil. And uses the famous 209 Primer and clean burning powder, giving reliable ignition and consistent velocity. 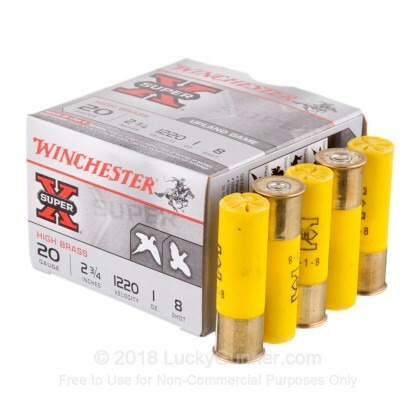 Winchester has a long history of producing quality shotgun shells, and recently they have been producing innovative new shells that are designed to be more accurate and more lethal. 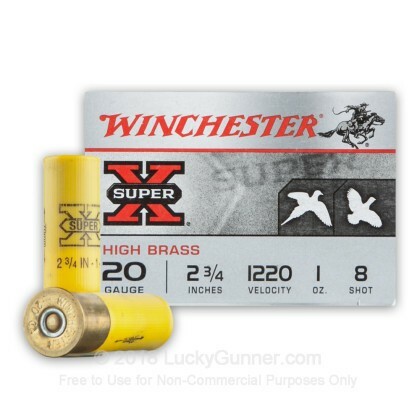 Give Winchester Ammunition a shot, and you won't be disappointed.